If you are looking for convenience and privacy you have found paradise. 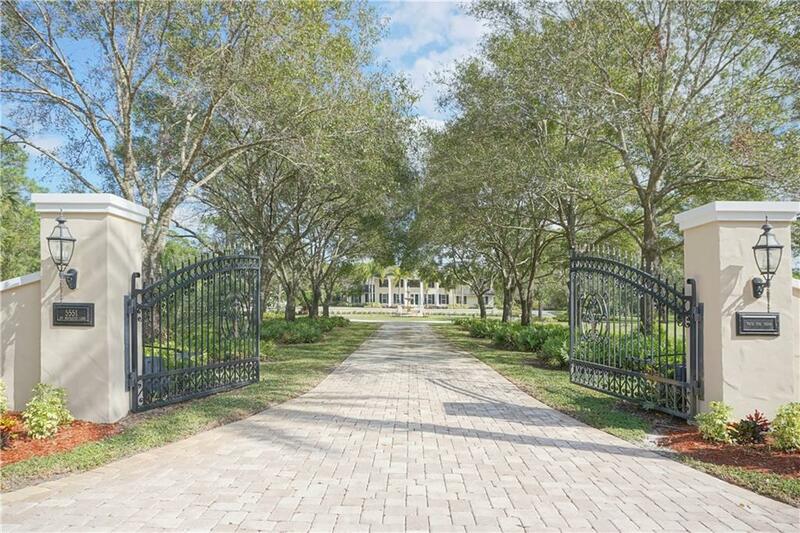 This 7 acre estate nestled in the premier equestrian area of Palm City Farms features a plantation style 7,466 sq. ft. home offering both formal and family living, chefs kitchen, elegant dining room and outdoor living are perfect for lazy days at home or entertaining. In addition to imported marble, custom millwork, and tri-level cascading pool you are close to schools, shopping and both the Turnpike & I-95. If you prefer to fly, property has access to lighted runway and has a private hanger with A/C, office, and bath.